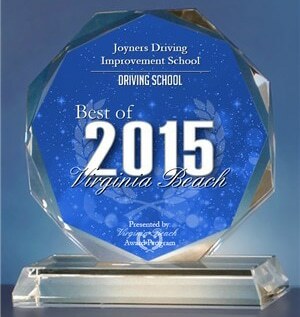 We are Hampton Roads #1 source for defensive driving education. Get your 5 Safe Driving Points today! We’re dedicated to offering you, your family and friends the very best traffic school program in Hampton Roads with a focus on dependability, customer service and uniqueness. Founded in 2014 by CEO Wendell Joyner, Joyner’s Driving Improvement School has come a long way from its humble beginnings. As the parents of two teen drivers, Wendell & Queenie first discovered their passion as they realized the need for a driving improvement school to help other parents become aware of the dangers that teens and adult drivers face on a daily basis. 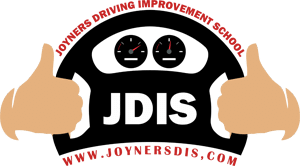 Now Joyner’s Driving Improvement School has grown into a specialized defensive driving program for all drivers ranging from adults with years of experience to young teens with less than 1 year of experience. Our common goal remains the same. Whether young or old we offer updated comprehensive training to assist you when facing driving decisions that may result in a traffic ticket or accident. Through years of research a master plan has been developed to educate and train adult and teen drivers. We are ready to tackle today’s common problem of Distracted Driving. More vehicles are now equipped with advanced technology that takes attention away from driving and adds attention to hands free technology. Adult and teen drivers are drawn to technology which leads to Distracted Driving, resulting in tickets or accidents. This is what has driven us to take action and keeping our loved ones safe while helping other parents who have teenager drivers or adult relatives who need a refresher course. We took the necessary actions of getting trained by AAA and Licensed by DMV and opened up our first location in Virginia Beach Town Center area. Now we have two thriving locations with additional instructors to better serve the Hampton Roads area. We now serve customers throughout the seven cities: Virginia Beach, Norfolk, Chesapeake, Suffolk, Hampton, Portsmouth, and Newport News and are thrilled to be a part of the movement to keep our teens and adult drivers safe. So as parents our motto is “Lets band together to keep our teens and adult siblings safe.” Please check out www.teenswatchalert.com, our preferred partner. Our team has over 20 years experience in driving services and education. Wendell is Founder and CEO of Joyners Driving Improvement School. With his wife Queenie, he provides Hampton Roads with the indisputably best and most comprehensive defensive driving education possible. Wendell also helped form the lesson plans, all based on the DMV’s own curriculum, and established the school’s partnerships with lawyers and law enforcement. As a mother of two kids, Wendell’s wife, and a classroom favorite at Joyner’s Driving Improvement School, Queenie is dedicated to the cause of driver safety. Like Wendell, Queenie has exceptional experience in providing DMV-licensed and approved defensive driving education. She maintains day-to-day operations at the school and is happy to see her students succeed.